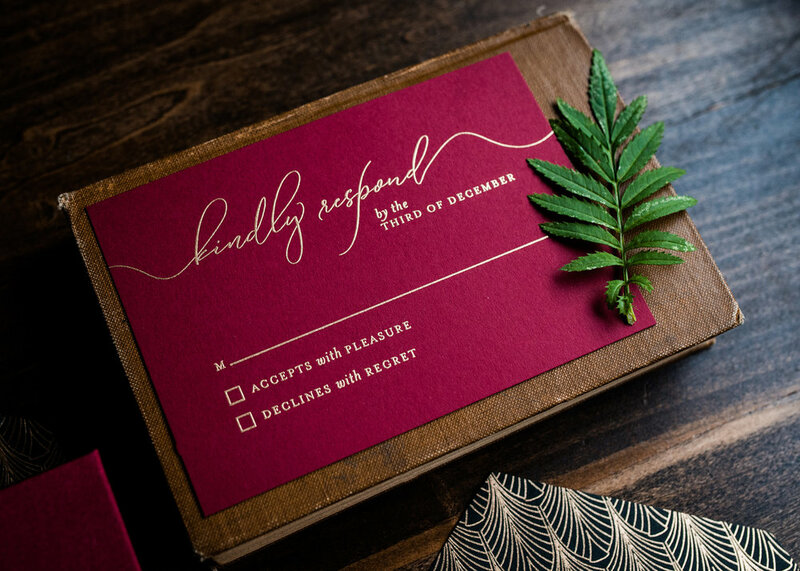 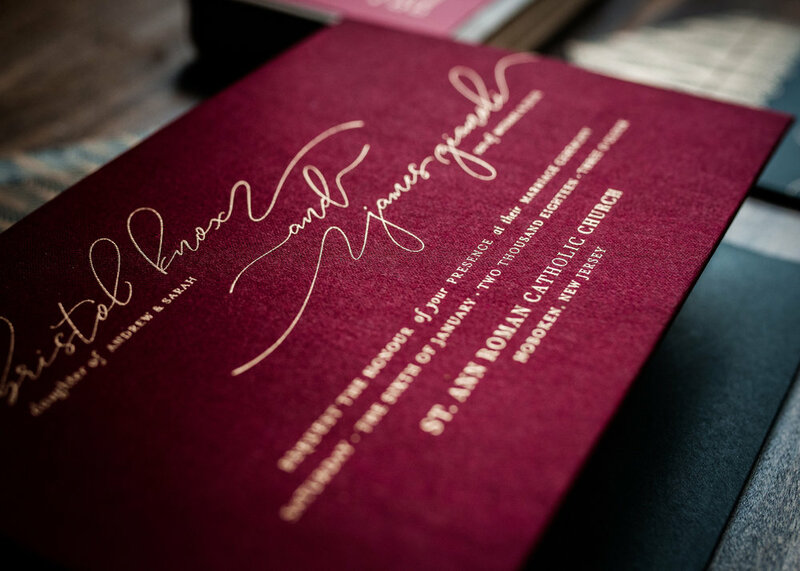 Gold ink is printed directly onto a rich wine-colored satin fabric invitation. 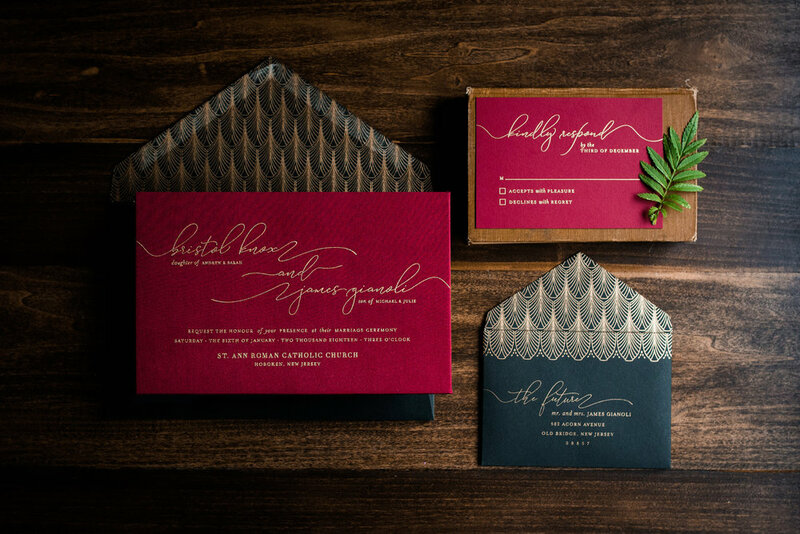 The satin fabric is wrapped around a thick board, giving the invitation an impressive weight. 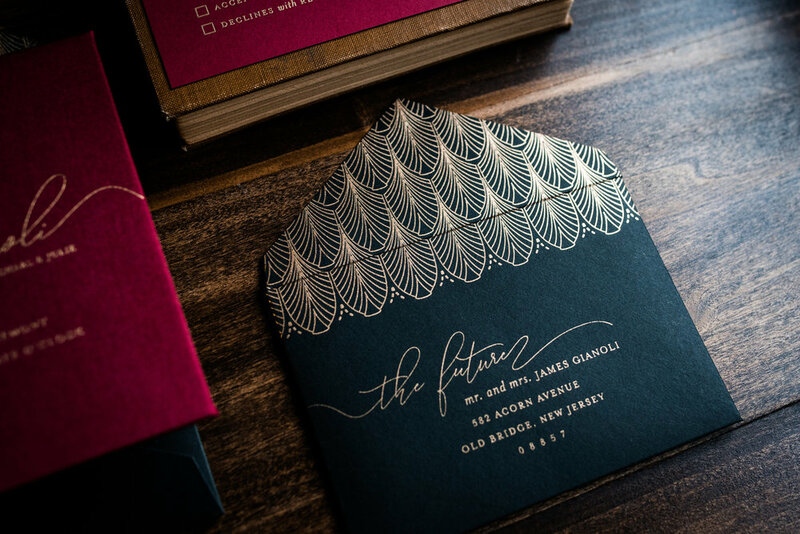 A striking metallic gold pattern printed on black envelopes makes this suite shine in all the right places.